Diabetes, the seventh leading cause of death in the United States, is a widespread disease affecting nearly 29.1 million Americans from all walks of life. As a disease that must be managed daily, diabetes is physically and emotionally challenging. In addition, diabetes is expensive. Since 2007, we've seen a huge surge in medical costs for people with diabetes. According to a study published in Diabetes Care, the combination of direct and indirect medical costs rose nearly 41%—from 174 billion in 2007 to an estimated $245 billion in 2012, including $176 billion in direct cost (e.g. hospital inpatient care, prescription medications to treat diabetes complications, diabetes medicines and supplies, physician visits and nursing/residential stays), and $69 billion in reduced productivity (e.g. worker absenteeism, reduced productivity at work, lost productivity due to premature mortality and inability to work due to complication of diabetes). Unfortunately, diabetes is on the rise. In fact, it is projected that by 2050 nearly 1 in 3 people will have diabetes. Because of the massive impact diabetes instills on the welfare of those with it and even without it, it is important that people with diabetes, their loved ones, and health professionals understand the financial burden of the disease. Perhaps this knowledge can help us to be more understanding and make decisions about treatment plans that are more cost-effective. Optimizing diabetes self-management education can help to reduce diabetes risks, prevent hospital admissions, and improve overall health. And for those persons who have prediabetes, preventing or delaying diabetes will be critical in lowering costs as well. How Much Does It Cost a Person With Diabetes? If you have a chronic disease, you likely will pay more money out of pocket than someone who doesn't, but how much more are you actually paying? On average, it is estimated that those with diagnosed diabetes have medical expenses approximately 2.3 times higher than those without diabetes. What does that mean in terms of dollars? A scientific statement by the American Diabetes Association says, people with diagnosed diabetes incur average medical expenditures of about $13,700 per year, of which about $7,900 is directly related to diabetes. Yes, there are a variety of ways to save money on diabetes. Stay Healthy: Sounds easier said than done, but keeping your diabetes in good control can reduce your risk of hospital stay, prevent complications, and save on other diabetes-related health costs. Start by eating a healthy diet, exercising and if you haven't already, and meet with a certified diabetes educator to receive diabetes self-management education. Take Your Medicines: Skipping diabetes medication can cause blood sugars to rise and therefore potentially create other emergency health issues or increase your risk of developing complications. If you are not taking your medicine because it is too expensive, discuss the option of taking generic medications to save money. How to Save Money on Test Strips: Test strips can be costly if you don't have insurance or if you are not using test strips preferred by your plan. 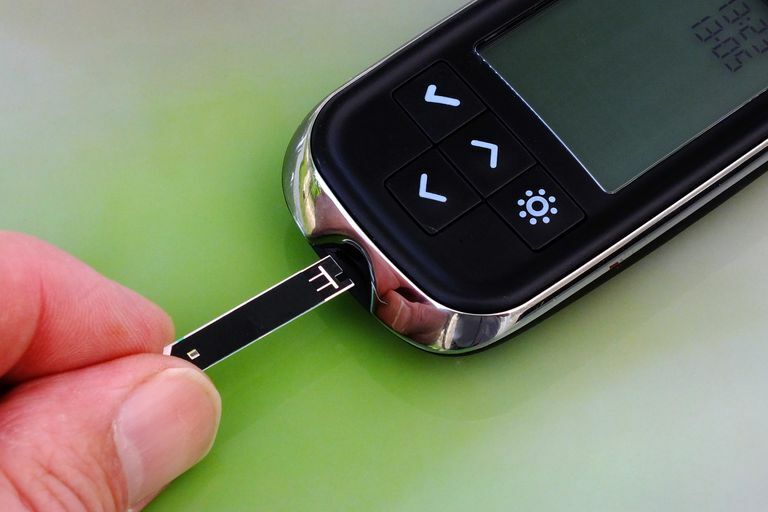 Get detailed info on how to save on test strips via Diabetes Forecast. Treat Problems Early: If something is bothering you, get it checked out immediately. Keeping your appointments with your health care team can help you detect and treat any problems before they get complicated and become more costly. Economic Costs of Diabetes in the U.S. in 2012. Diabetes Care. Does Cinnamon Actually Help Manage Diabetes?